At least 100,000 people have formed a 123-kilometer-long human chain in support of a regional referendum on the Basque Country’s independence from Spain. 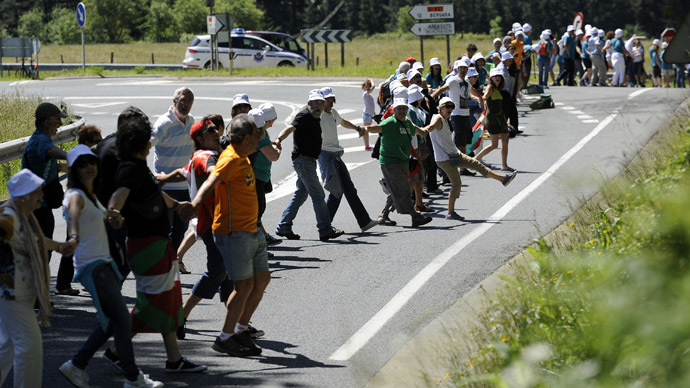 People began to link up at noon to form a continuous line along a road that connects the northern cities of Durango and Pamplona in the neighboring Navarra region, considered part of Basque cultural heritage. The organizers of ‘Gure Esku Dago’ (It's in our hands) initially said that around 50,000 people would be just enough to cover the distance of 123 km. But the turnout went beyond expectations with some reports indicating that 150,000 people eventually took part in the campaign. Demonstrators draped in red-white-and-green Basque flags raised their linked hands as media crews flew over their heads. Organizers of the solidarity movement say it was aimed to echo a similar demonstration last year in Catalonia where more than 1 million people formed a human chain stretching 400 kilometers. 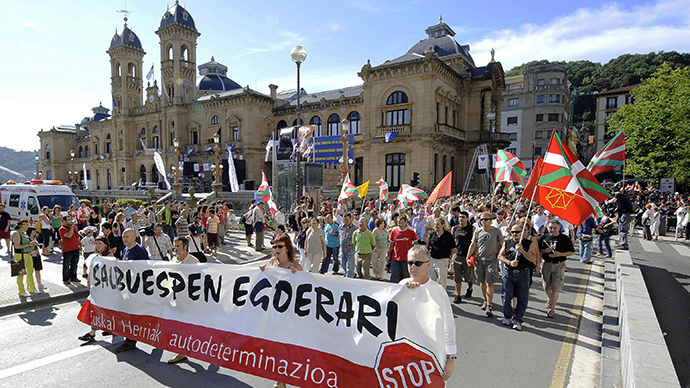 Basque, a region of 2.2 million people, held its first elections in October 2012 after separatist group ETA ended its violent campaigns of bombings in 2011, the struggle claimed at least 850 lives from 1968-2010. 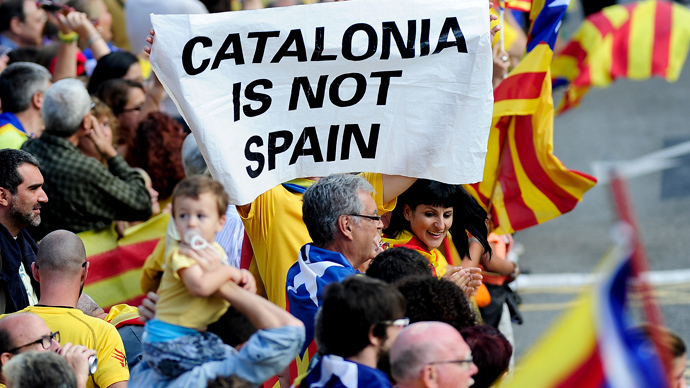 In late May, Basque lawmakers adopted a declaration of self-determination to follow on the footsteps of Catalonia, which made its own sovereignty claim last year. 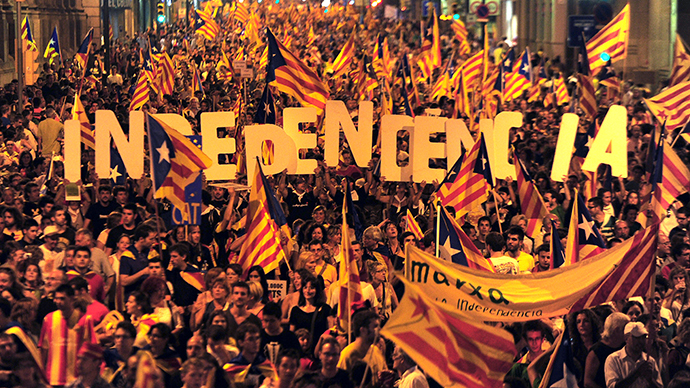 In March, Spain's Constitutional Court ruled the Catalan declaration was “null and unconstitutional” but the Catalan government is still committed on holding a referendum on secession in November. 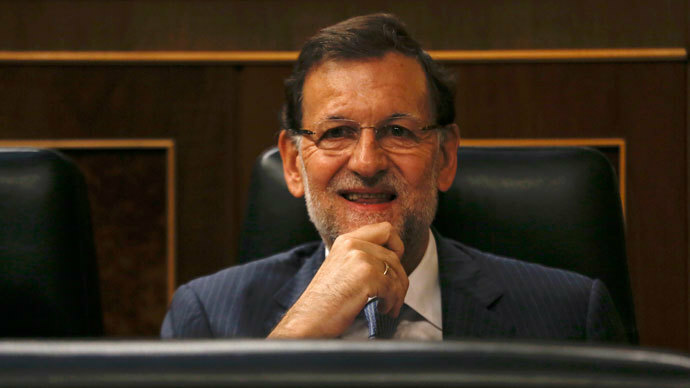 The Basque already proposed a similar declaration back in 1990 in an attempt to hold a vote of self-determination but it was blocked by the Constitutional Court in 2008.